Rather talk to a LIVE person? 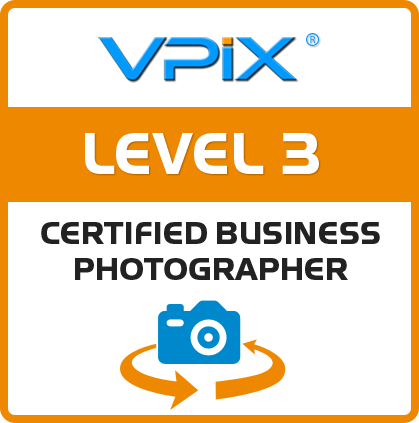 It's not a walk in the park for our VPiX HD photographers to earn their certification. If you're not 100% happy with our VPiX tour, your HD tour will be completely redone or we'll cheerfully give you a complete refund. VPiX HD is the kind of tours we are looking for at Keller Williams. Our agents have tried Obeo, CirclePix and Real Tour Vision. We like VPiX HD tours better. They're floor to ceiling, Flash-based and full screen. We can add our own voice overs and a custom floor plan with the 3D hot spot icons that spin as the tour rotates. We love them because our listings and our next time homebuyers love them. If you're comparing price to quality, then may I recommend you hire a VPiX certified photographer. You'll pay a little more... but face it. When you buy a Lexus you get a lot more. VPiX HD is the Lexus of virtual tours.